Fraser Analytical Services delivers a full complement of forage/feed testing and evaluation services not previously available in Western Canada. As a producer, feed manufacturer, nutritionist or researcher, Fraser Analytical Services (FAS) is here to meet your analytical needs. FAS is a satellite facility of Cumberland Valley Analytical Services (CVAS) located in British Columbia’s Fraser Valley. Our primary focus is providing rapid turn-around of forage and feed analysis by Near Infrared Spectroscopy (NIR). Through our partnership with CVAS and use of expanded equations we are able to provide nutrient evaluations not traditionally available by NIR to the Canadian feed industry. Innovation and rapid adoption of new technologies have allowed CVAS to become the United States’ largest provider of chemistry based evaluation for forage. CVAS is now regarded as the industry leader in in vitro digestibility services while also providing one of the most complete offerings for NIR forage evaluation. Thanks to our partnership with CVAS and our proximity to the US border, FAS provides rapid turnaround on samples while eliminating the cost and paperwork usually associated with sending materials to the US. For available Services and pricing, please see the FAS Services & Pricing Guide Aug 2016 . Please note: we are a satellite lab of Cumberland Valley Analytical Services (CVAS). CVAS bills monthly in USD. FAS is certified by the National Forage Testing Association (NFTA) for NIR analysis. 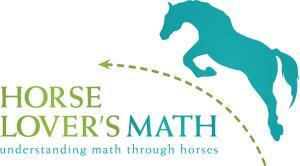 Horse Lover's Math offers educational materials to kids who loves horses. Sciencepure Nutracueticals is a officil sponsor of the HCBC Community Talks Travelling Road Show! As a rider and horse lover myself I've personally experienced that riding in a properly fitted saddle makes a big difference. 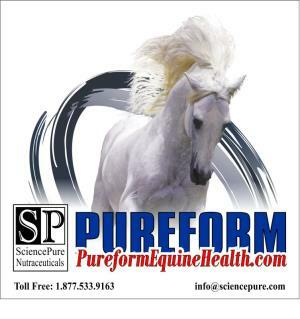 It helped me be a better dressage rider and I know for sure my horse is pain free. As a Certified Saddle Ergonomist I can help you concentrate on what's important to achieving your goals. 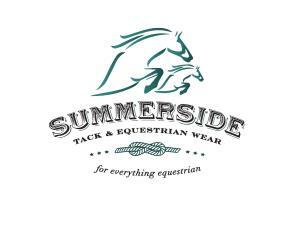 Whether I evaluate and fit your existing saddle or help you find a new one. Call me for a personal appointment at your barn! Thunderbird Show Park is one of North America's premier equestrian facilities. Located just minutes from the TransCanada highway in Langley, the horse capital of British Columbia, Thunderbird Show Park is centrally located in the heart of the Fraser Valley, just footsteps from Vancouver. Thunderbird Show Park holds Six Major Hunter & Jumper show tournaments a year and hosts a variety of different equestrian events and shows. We welcome any type of event so please contact us for availability of buildings and dates. Horse Trailer Rental Services. Barn or event trailer delivery service. I drop the trailer off and pick it up when you are done. K&S ELITE Sport Horses Ltd. The Canadian Saddle Doctor Ltd.